Gnash are a 5 piece band with an unplugged acoustic sound. 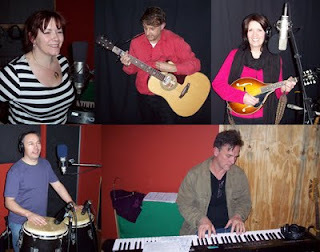 The band members are: Suzanne Clark: Vocal, Guitar, Mandolin, Helen Mc Donnell: Vocals, Guitar, Alex Chapman: Vocals, Bass, Guitar, Mandolin, Gerard Foley: Vocal, Keys, and Nigel Hobson: Vocal, Congas. 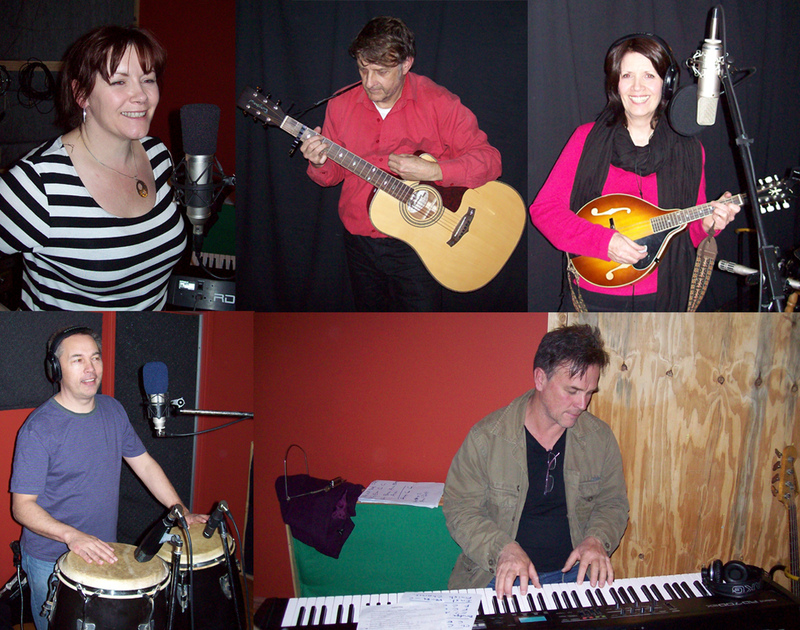 We recorded a demo of 5 songs, all tracked live with up to 5 vocals, guitars, mandolin, bass, keys, harmonica and percussion playing at the same time. We did cheat on one song with Alex over dubbing the bass due to not having 4 arms. Update 14/7/11: The band came in on Tuesday night and we mixed the songs, come out really well and everyone was pleased with the results.